Home→florida real estate→8 Critical Things to Do Before Buying a Home: How Many Have You Done? So you’re finally ready to get serious and buy a house—chalk it up to the amazing spring weather, or maybe a precious bun baking in the oven, or that much anticipated promotion at work. Whatever the reason, you feel primed to start poring over listings and spending your weekends open-house hopping. Exciting! Yet while you might feel prepared for this next giant step, just remember—there’s a lot of planning and prep work that goes into this purchase, even before you start to look at homes. So make sure you’ve got all your mallards in a row first! Use this checklist to figure out if there are any things you may have missed. First, ask yourself not if you’re ready emotionally—because it sounds like you are—but ready financially, says Kristen Robinson, senior vice president at Fidelity Investments. A perfect place to start is at our Home Affordability Calculator, where you can punch in your income, desired location, and other factors to see if your expectations jibe with reality. Good luck! Your mortgage’s interest rate—and, as a result, the size of your monthly payments—will be directly related to your credit or FICO score, essentially a summary of how reliably you’ve been paying off your debts. 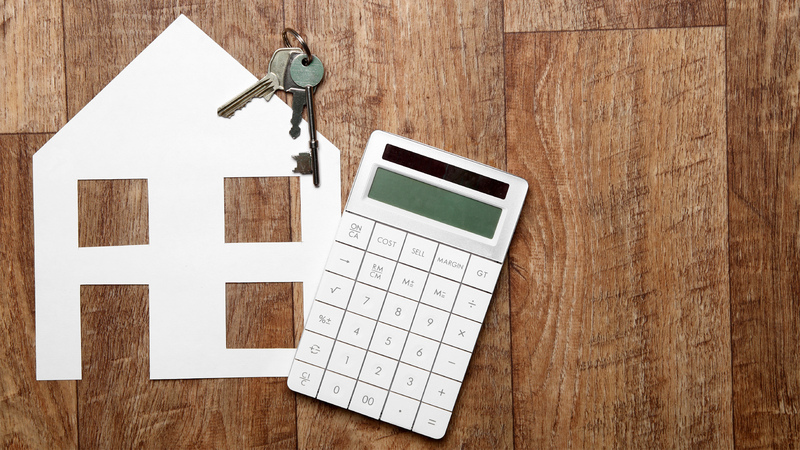 “If you’ve had too many problems or late payments leading up to the purchase of a home, your score could be lower, and you might get a higher mortgage rate,” says Ali Vafai, president of The Money Source, a national lender and servicer. Many major lenders require a score of at least 620 for a mortgage, but if you find out you’re below that or want to boost your score, now is the time to get started, since it can take months to take effect. Most mortgage lenders require a cash down payment of 5% to 20% of the price of a home. For the U.S. median home price of $292,700, that’s anywhere from $14,635 to $58,540. If you don’t have this kind of cash lying around, it’s high time to start a saving goal for the next few months. You can start by putting off buying any big-ticket items, fancy vacations or other extravagances. This is a new home we’re talking about, remember? You can also explore other ways to come up with a down payment fast—like borrowing from your IRA or even getting a gift from your parents (lucky you). The most important aspect of purchasing a home? Understanding the nuts and bolts of how it works. Consider taking advantage of local home-buying seminars, often offered by banks or nonprofits. Such resources will explain aspects of a home loan, like the criteria lenders use to evaluate a borrower, the documentation buyers will need to provide and what each portion of a mortgage payment goes toward. Even better: these seminars are usually free. Just about everyone knows a real estate agent or five, which explains why 52% of home buyers find their agent through a friend. But don’t just settle for the first agent to cross your path—remember, a house is a huge purchase, the stakes are high. In the same way you’d want to thoroughly vet a surgeon before upcoming surgery, make sure to do the same here, too. Here are some questions to ask a real estate agent before deciding which one is right for you. In the same way you wouldn’t buy the first house you set foot in, you shouldn’t commit to the very first mortgage you meet, either. Buyers sometimes forget, amid their scramble to make a down payment and monthly mortgage fees, that that’s not everything they need to pay for. Another sizable chunk are closing costs, and they’re no small chunk of change, ranging from 3% to 6% of the purchase price thanks to taxes, transfer fees, and other expenses. So, make sure to budget for this expense too, just so you aren’t blindsided come closing time. Courtesy of Realtor.com–Margaret Heidenry is a writer living in Brooklyn, NY. Her work has also appeared in The New York Times Magazine, Vanity Fair, and Boston Magazine.